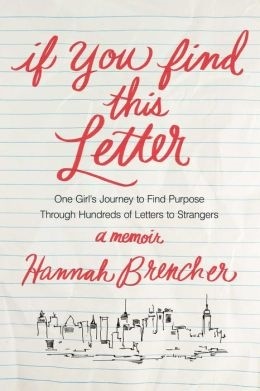 Hannah Brencher’s memoir, If You Find This Letter, was remarkable. 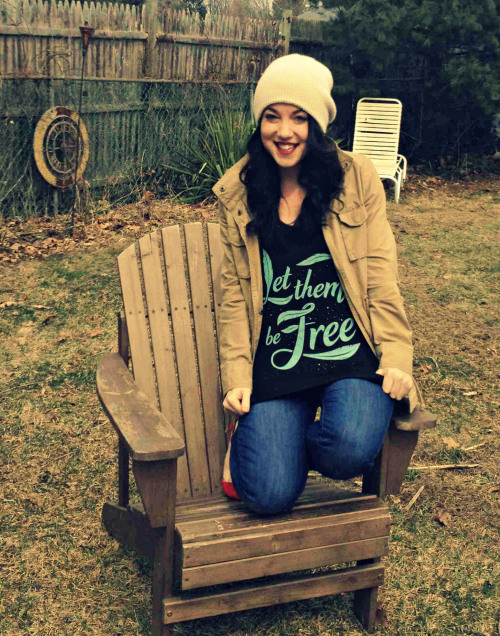 Brencher shared her experience of moving to New York in pursuit of bigger and better things. Her novel serves as a window to her life and story for anyone who has ever felt alone. The loneliness she felt while being in New York allowed her to answer her calling. She started picking strangers out on her commute and writing notes for them. Brencher described herself as a girl just trying to find her way, which is accurate for most of us. We are just going through the motions of life while trying to leave a mark on the world. Through her journey, she was able to find her way and change countless people’s lives through her love for writing. Throughout the novel, Brencher shares her most personal details about her relationship with her family as well as her friends. She talks about the notes her mother would leave her which might seem like ordinary pieces of paper to some, but to her they morphed into love letters her mother put her heart and soul into. She also discusses her complicated relationship with God and her encounters with religion, as well as the shame she felt towards her father because of his job. Brencher shares her ups and downs regardless of how pretty or ugly they might be, which is truly admirable. At the beginning of her novel, she warns her readers that she is unpredictable; she lives in the clouds but her heart is good and golden. She’s just another person trying to find her way. I read this book on a plane and couldn’t put it down. I related so much to her novel having recently moved from California to Nebraska and feeling so alone in a place that I had never called home. The relationship she had with her mother mirrored my own and I learned that even thousands of feet in the air you are not invincible. Brencher truly has a way with words and she captures her readers with the personal details of her life as well as the personal stories of those who emailed her for love letters. Real stories reel you in and this novel does just that. By exercising a practice that seems dead to most, Brencher captured strangers with her letter writing. She used her writing ability to connect to others in the most random places as she scattered her love letters throughout New York train stations and coffee shops. She shares the various stories of the people who requested love letters for themselves and others, such as the sister whose brother came from Afghanistan with PTSD, or the young girl who didn’t think she was good enough. It has caused a global movement that has restored my faith in humanity. People are generally good when they are given a chance to be. If You Find This Letter… it’s for you.